However, an employer can (and will) fire you if they believe you are unable to perform the job duties assigned (with or without reasonable accommodations) OR if they believe you will pose a direct threat to the safety of others or yourself in the workplace. And in the case of my current workplace, 'management' is very discreetly and insidiously creating a hostile environment for me ever since I revealed my autism diagnosis. In addition to being on the spectrum (which I've only recently started admitting) I also suffer from a whole host of other issues like depression, severe social anxiety, and PTSD. This has always affected my ability to work some jobs - retail and customer service are pretty much out - so I thought I was really lucky to fall into this administrative position with people who seemed understanding. 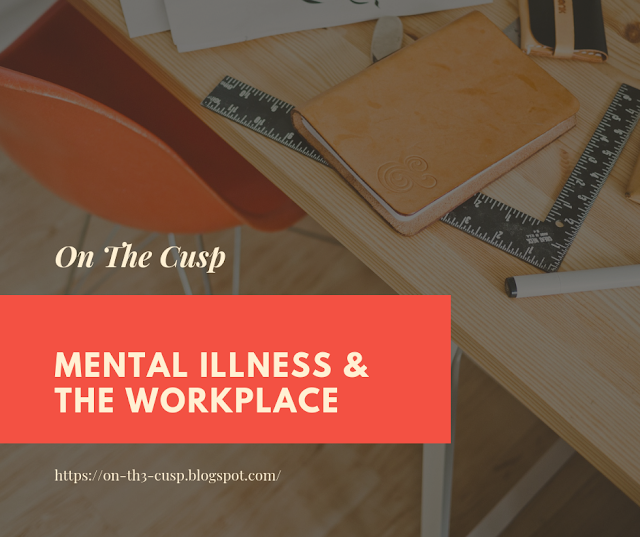 For a while, I had a great boss who understood that I had mental health issues and was totally on board with being patient and accommodating - she understood my need for a stable routine and a quiet work-space. My knowledge and disposition for social media and marketing were appreciated. She probably knew I was on the spectrum without my ever mentioning it. Gods bless her. Then she left. Quite suddenly, too. And in the absence of strong and capable leadership in our department, I kind of fell apart too. My mental health took a dive, my anxiety got worse, and for the first time in years - I experienced selective mutism. So you can imagine when my new boss swept in - all bubbly and energetic and extroverted, a real go-getter - that things changed fast. This all probably would have gone down well enough, too, if any of these major departmental changes and shifts had been properly communicated to...anyone, really. But I was feeling the impact of it especially. Suddenly, everything I do is being run through a filter. My marketing emails have to be touched up and approved. The newsletter is being run through with a fine-toothed comb for consistency and sounding "on brand". I'm also expected to be able to read my boss's mind and just know when it's okay to pop into her office instead of waiting for a meeting invite or having all mine go ignored. I get that these changes are meant to streamline the department, improve communication, and unify everything. Now. I didn't before - and not having that "why" explained to me was making me withdrawn, cranky, and passive aggressive. So I came clean about my diagnoses - in a supposedly confidential email to my boss. But this week my department has started ignoring me. Snubbing me, really. And today, I lost all access to the company social media accounts. I'm the social media and in-house marketing person. That's my job. And now it's gone. So what are my options - other than find a new job? According the ADA, I could try asking for reasonable accommodations, but from the way things are going and management's general dismal attitude towards me, I don't think that's in the cards right now. This is my nightmare: being made to feel like I should quit my job. Waiting to see if they'll have the gall to fire me and risk a civil suit. Having a career and department that originally had my back turn on me. Being mentally ill or having an invisible disability in the workplace is a tricky situation. While you are legally protected from certain forms of discrimination and retaliation, there are a lot of companies out there that will create a work environment that will push you to leave on your own. Know who your advocates are, have a strong support network, and do the research needed to make sure you get the accommodations and respect you deserve as an employee in your field. I'm really happy you were able to get out and find something that made you happier. That's my wish for everyone who has ever dealt with this kind of situation.